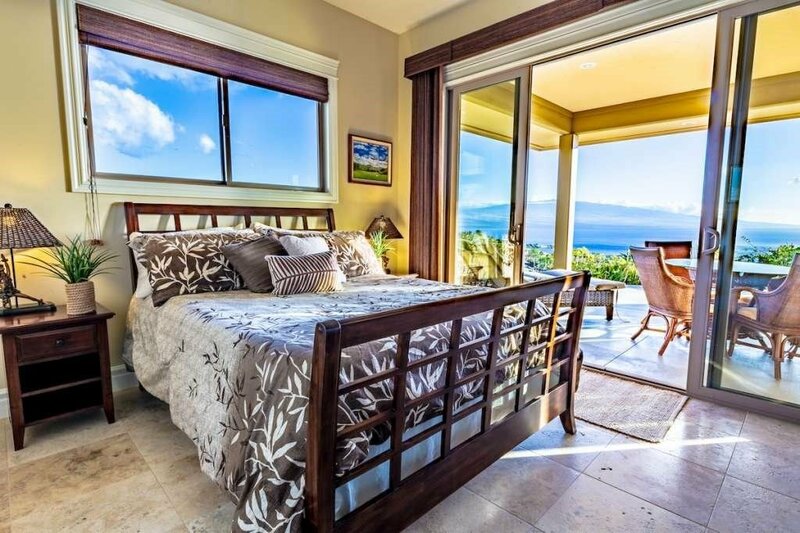 Simply ASTONISHING ocean, coastline and mountain views from every room!! 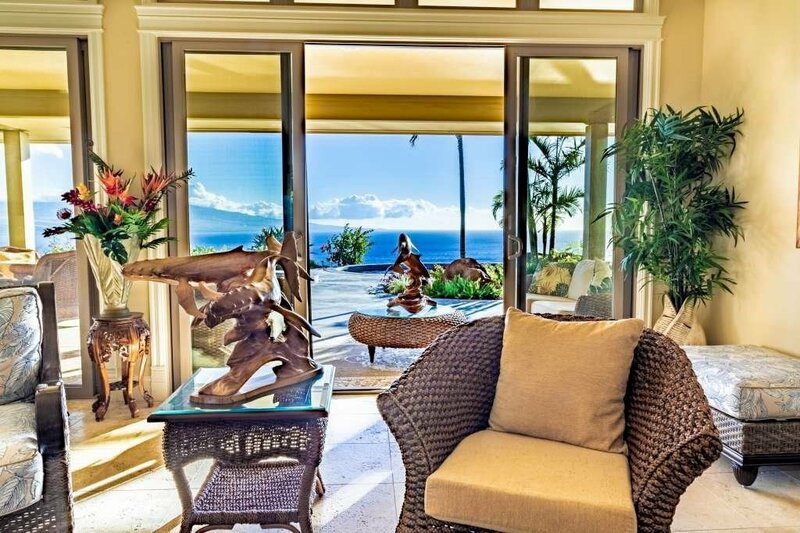 Sheltered from the trades! 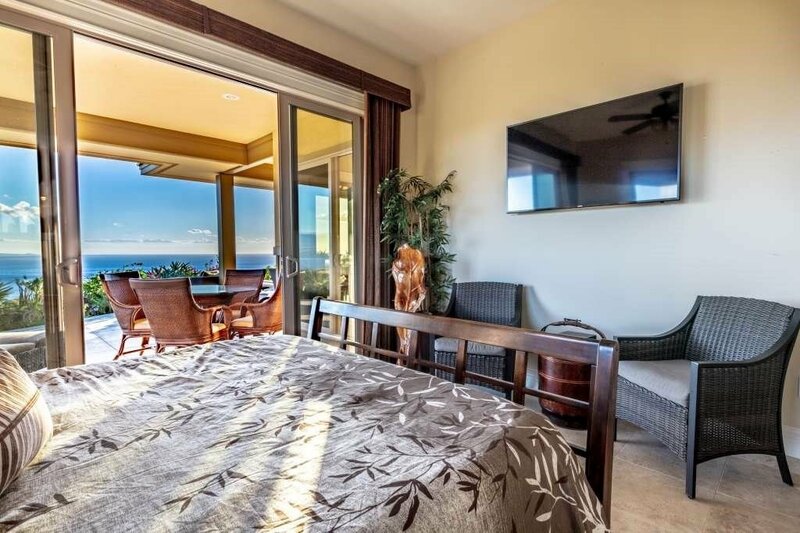 Perched a top a ridge at only 375 feet elevation, this gorgeous luxury panoramic ocean view home features 4 bedrooms, 1 office, and 4 bathrooms to which 4 of the bedrooms have Ensuite bathrooms and ocean views. 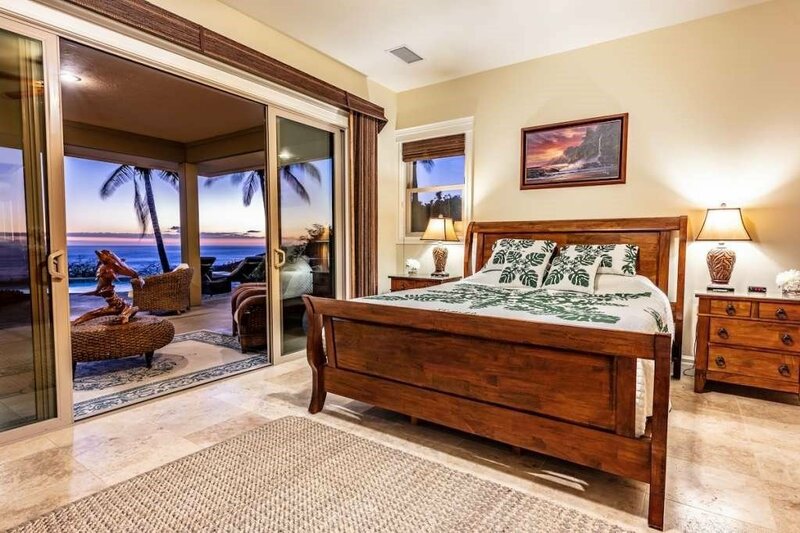 The office is situated perfectly off the main master suite and is currently in use as a bedroom. 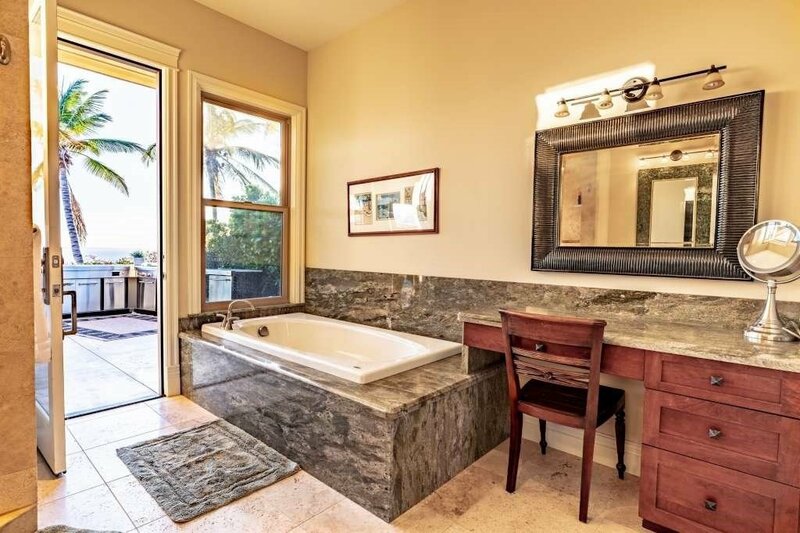 The main master suite is spacious and offers a large walk in closet as well as a luxury ensuite bath that features a Jacuzzi jetted tub and large walk in travertine shower as well as granite countertops and mahogany cabinetry. 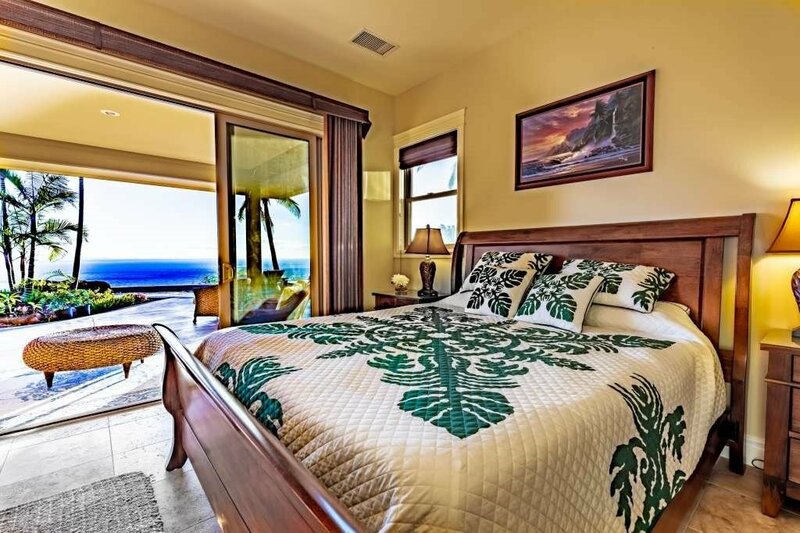 One of the master suites is actually a full Ohana attached to the home by way of the laundry room on the south wing of the home. 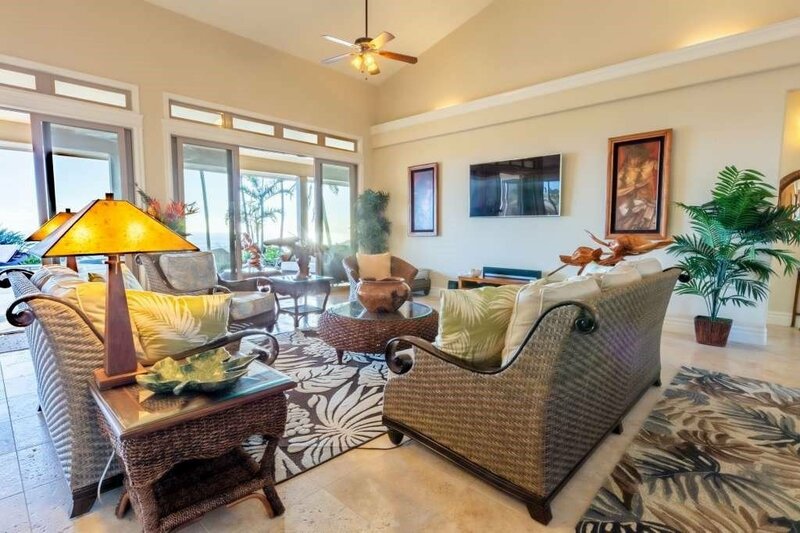 The Ohana features a full kitchen, luxury bathroom with walk-in travertine shower, a closet area and private lanai. 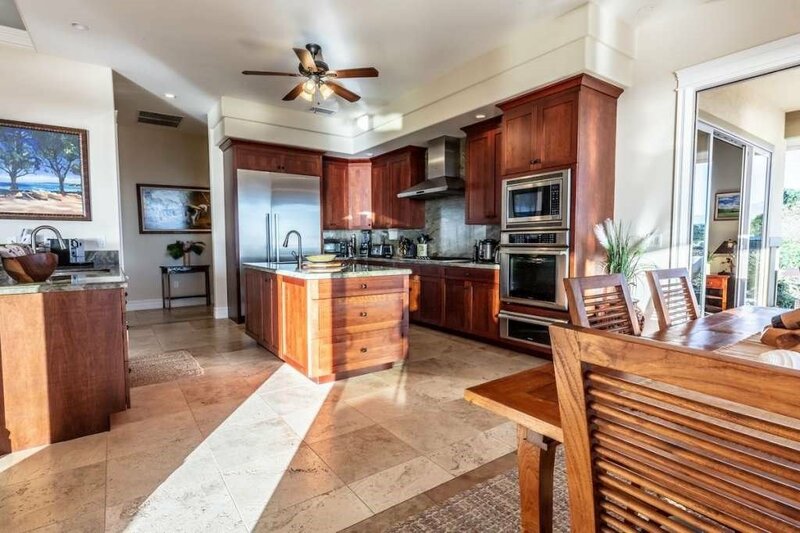 The home’s gourmet, ocean view kitchen boasts Thermador appliances and gas cook top with beautiful granite countertops and mahogany cabinetry. 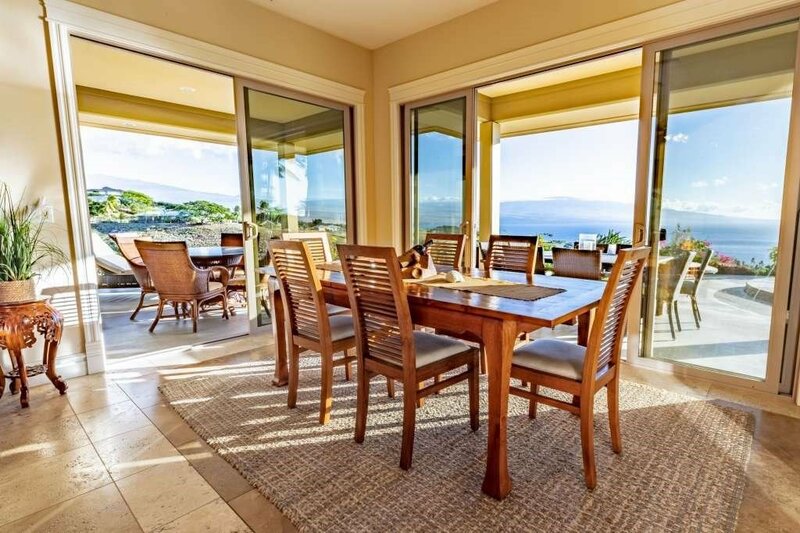 A main dining room is situated adjacent to the kitchen and perfectly placed for sunset dinners overlooking the vast ocean and mountain views. 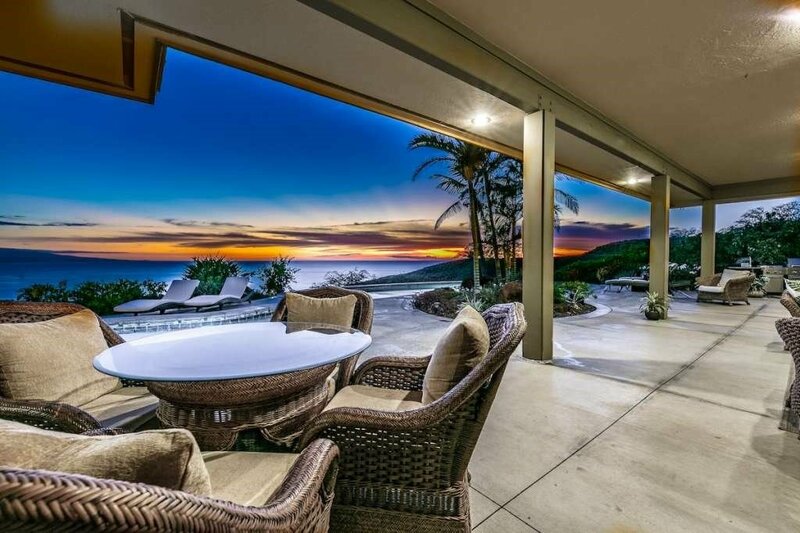 As you enter the double door entryway, the captivating views of the ocean and mountains amaze everyone who enters as this home has seamless transition from indoor to outdoor spaces by way of the many sliding glass doors which lend to an abundance of natural light. 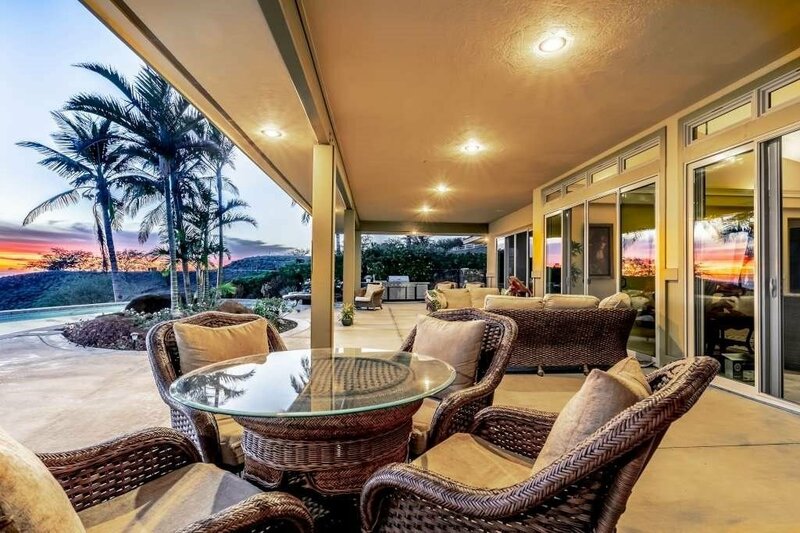 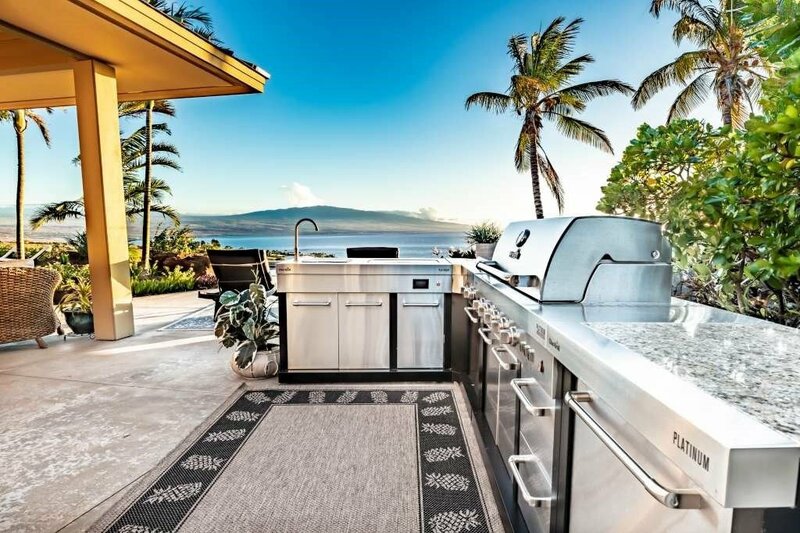 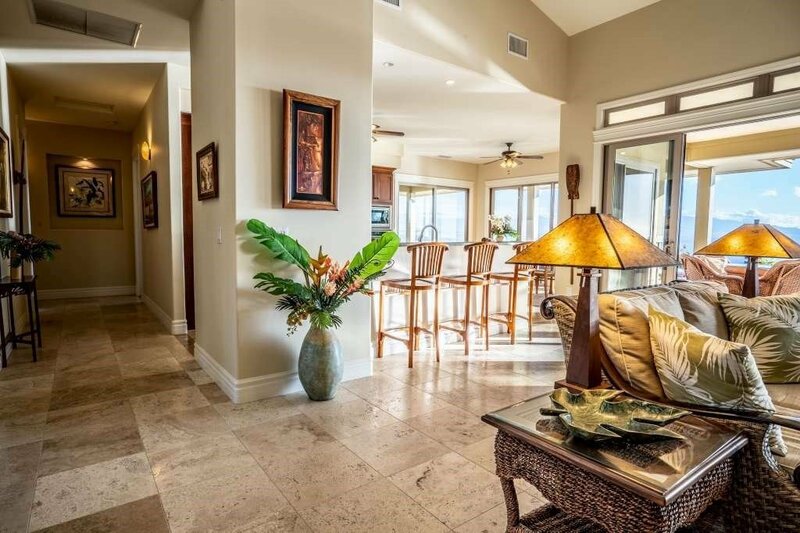 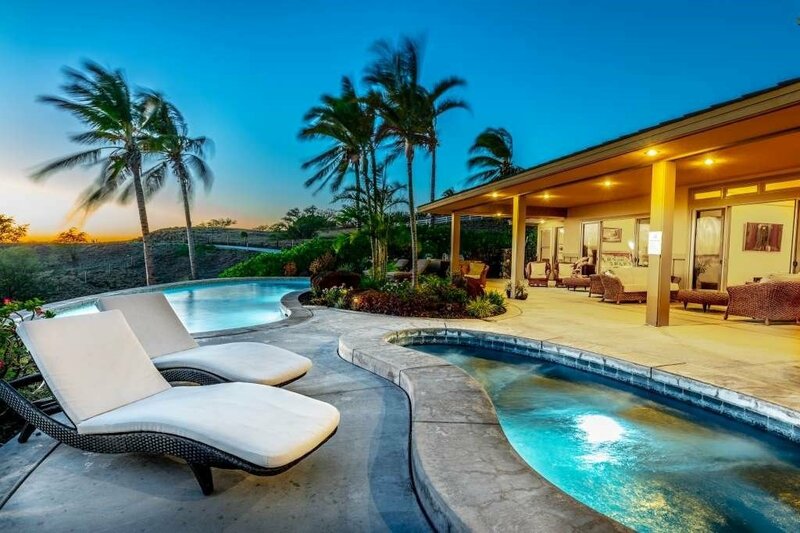 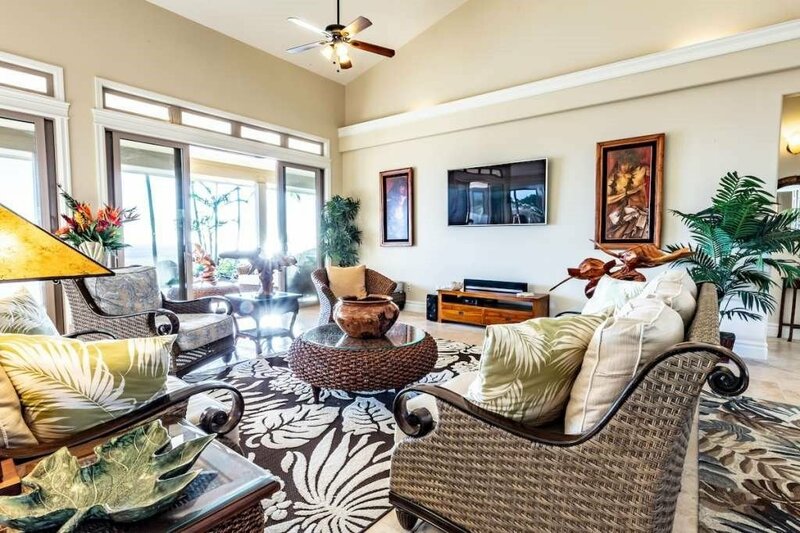 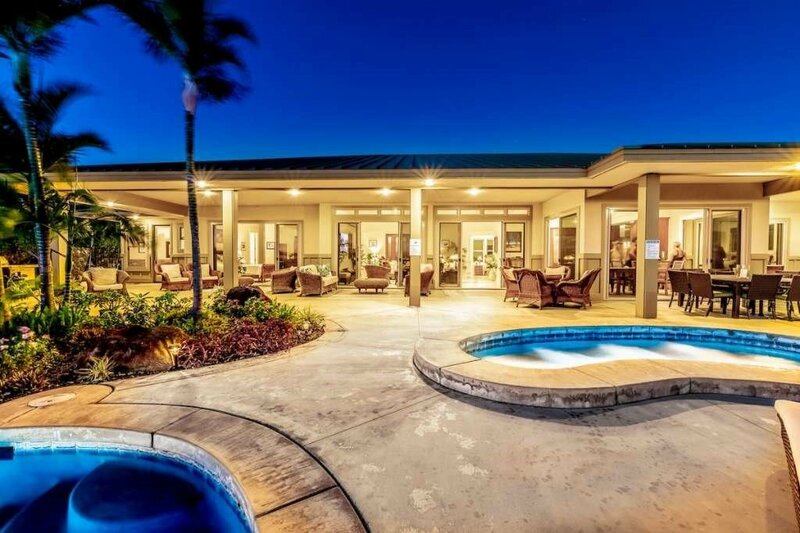 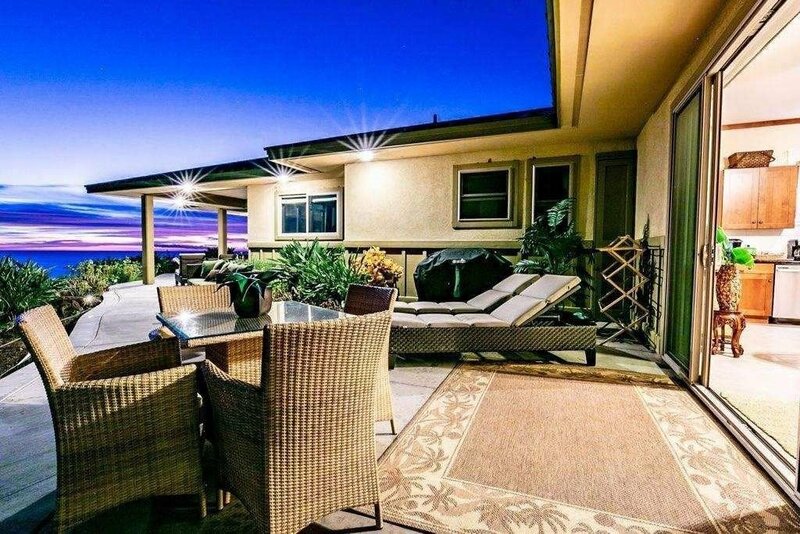 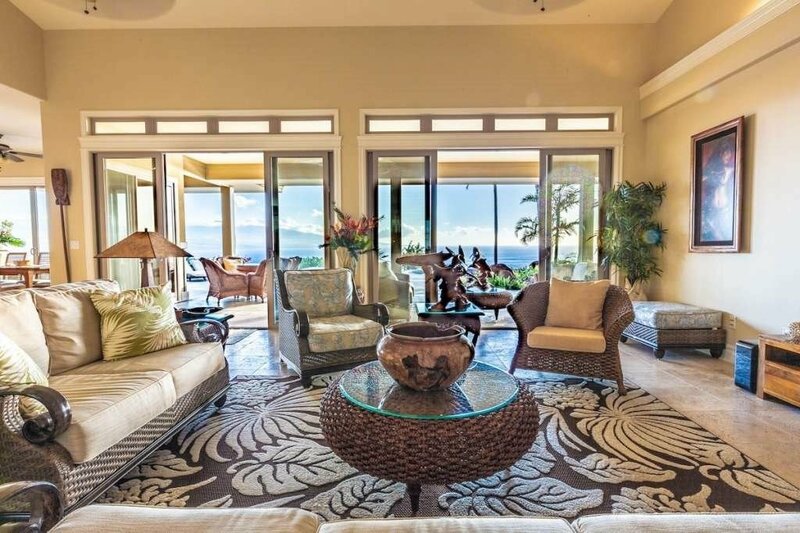 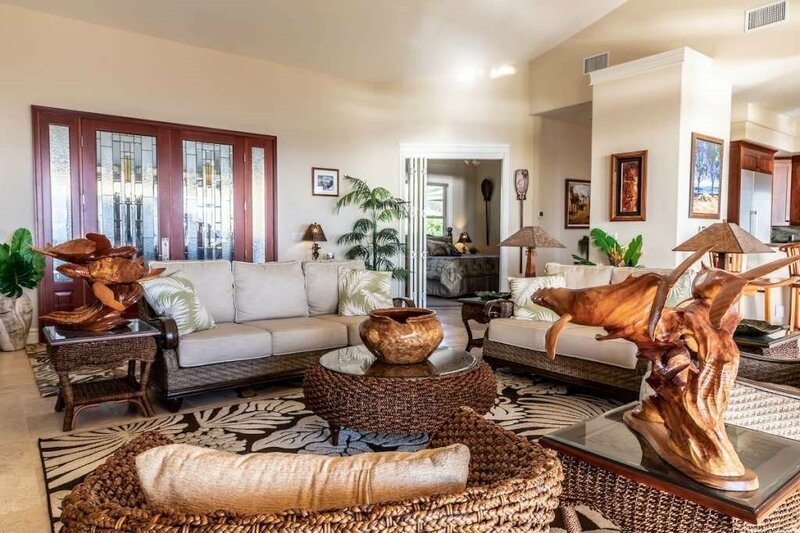 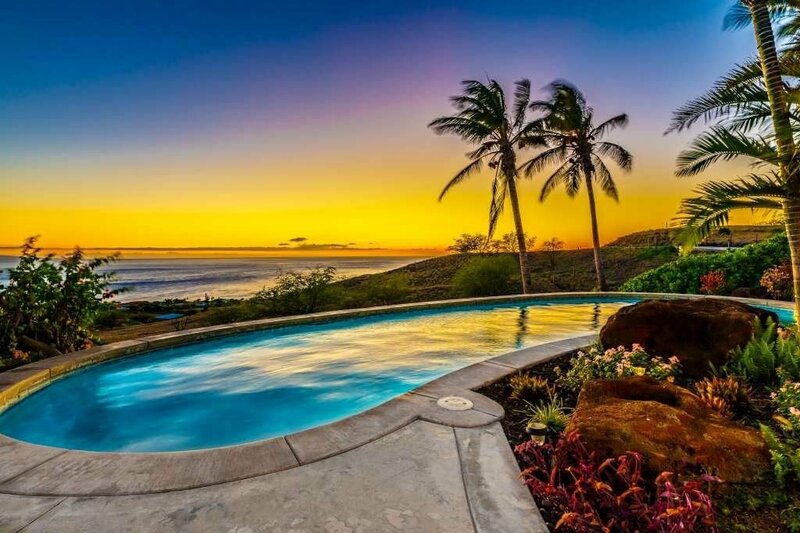 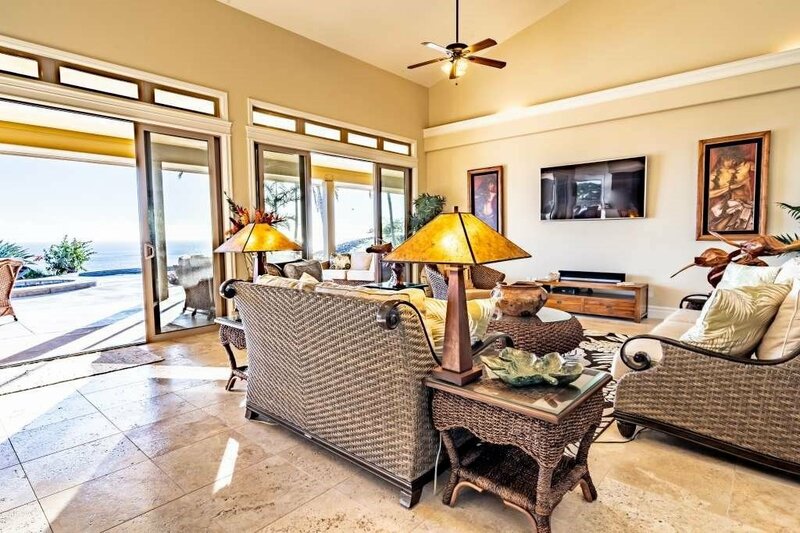 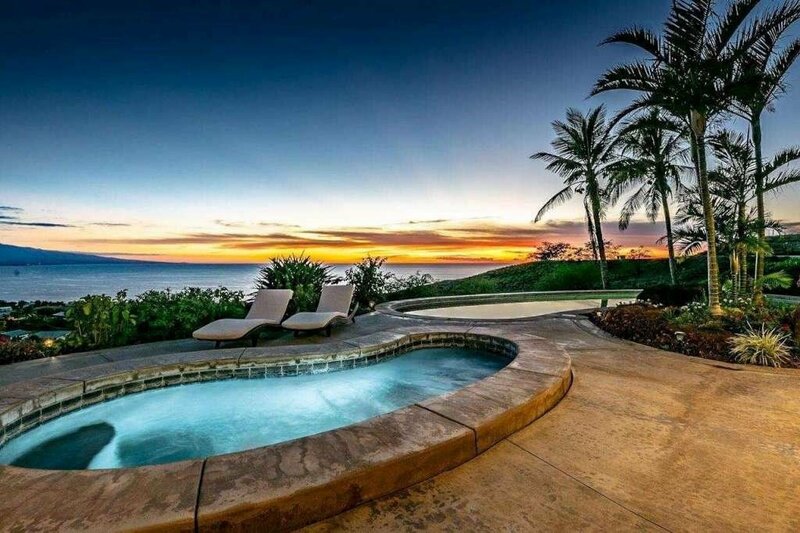 This home has ocean, sunset, mountain, and coastline views from its indoor and outdoor spaces with gorgeous nightly views of the starry skies all from the covered and lit lanai as well as from the heated 8 person hot tub and lagoon style pool. 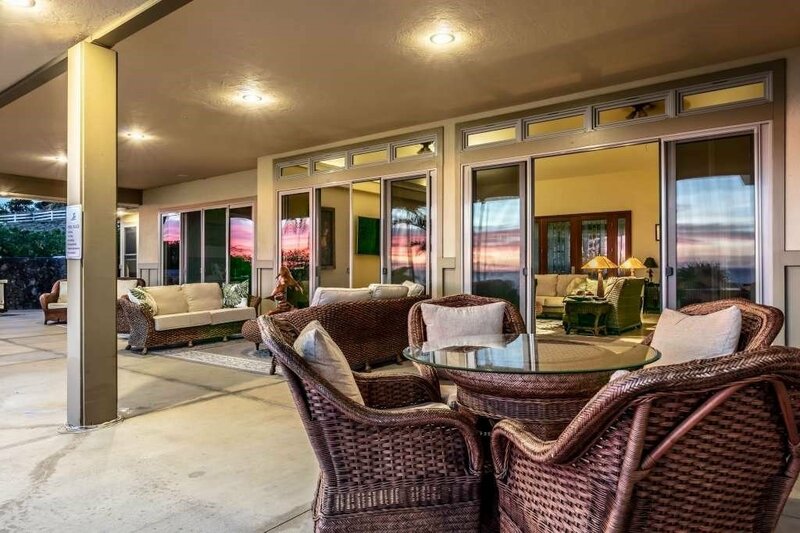 Situated on over 3 acres, this meticulously cared for property is landscaped and offers a private gate to the long concrete driveway that leads to a porte-cochere directly in front of the home’s entrance. 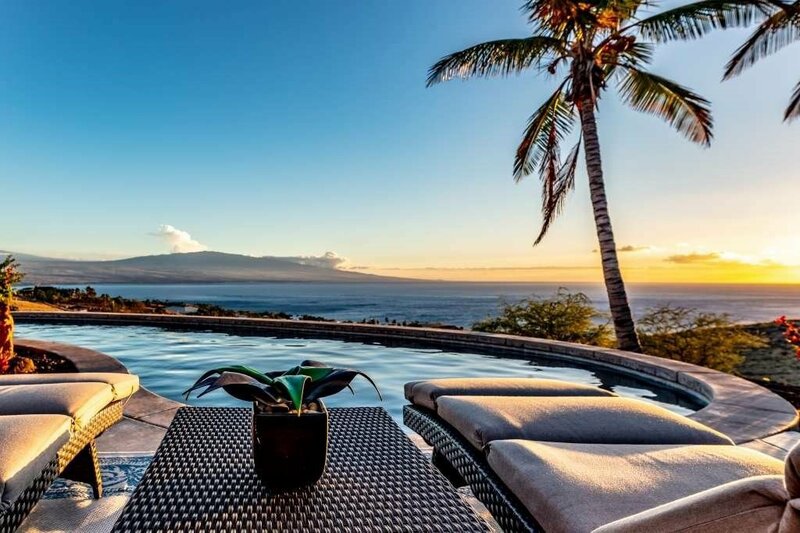 This home has a very successful vacation rental following.